At the Al Hanan kindergarten, the 75 little ones probably do not understand the profound significance of the name of their school. “Hanan” in Arabic means “compassion” carrying with it the broader nuances of “kindness,” “love,” “care.” For this all-Christian village in Syria of about 23,000 souls, 85 miles south of Aleppo, the Al-Hanan kindergarten and preschool has provided a haven of stability and normalcy – a sanctuary of love and care and compassion – in a place where the war still threatens, even while most of Syria is experiencing some peace. Throughout the duration of the fighting in Syria, dozens and dozens of outside groups made their way into the country, each with their own agenda about seizing control over a part of the country. One of the deadliest was an affiliate of Al Qaeda known as the Al Nusra Front. They were the ones who tried to gain control of the small towns which surrounded Mahardeh. As fighting raged, Mahardeh was often caught in the crossfire with mortars landing inside the compound of the Presbyterian Church. One of those blew out some of the windows of the Rev. Ma’an Bitar’s house, and even more were broken in the three-story education building that houses the Al Hanan school where the congregation worships after construction on a new sanctuary was stopped. Thankfully, no one was injured. But the war has been hard on this town where four Greek Orthodox and one Presbyterian Church are highly visible. Many young men lost their lives in combat, but women and children in Mahardeh have also been killed in the indiscriminate violence. Of those 75 children at the school, Ghawth Hanna, Rev. Ma’an Bitar’s wife and the director of the school, allows 11 of them to come for free because they lost a parent and could not afford the tuition. With a collapsed economy, none of the families can afford to pay what it really costs to run the school and so the “tuition” is set at $100…for the entire year! Yes, that is $10 a month. The dedicated teachers, almost all members of the church, receive only a token salary of $100/month. Friends, you have not grown weary and your support of the work and witness of our family-of-faith in Syria has brought them much encouragement. Be blessed by that realization! 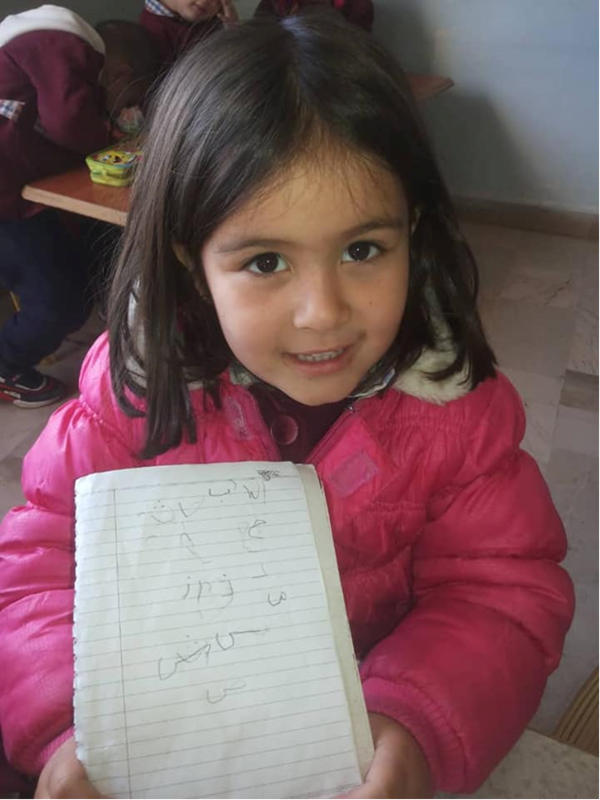 Through this and many other efforts of the Church in Syria and Lebanon (schools for refugee children), Christ is glorified, and his name made known. We invite you to continue with us on this journey of accompaniment. Make a gift by sending a check to The Outreach Foundation or make an online gift HERE.